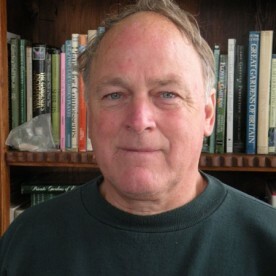 The author of 8 books, Blaine has played a major role in the Ottawa literary scene. He is co-editor of an upcoming a collection of Pakistani poetry. The author of eight books, six of which are poetry, Blaine’s most recent books are Aperature (poems, prose and photos of Afghanistan, 2008), and The Craving of Knives (2009), both of which were nominated for the Archibald Lampman Award for Poetry. A young adult novel, African Adventure (translated as Aventure africaine) was published in 1990. His work has been published in Canadian and American literary journals. He was co-founder of Sparks, Anthos, Ottawa Independent Writers and the Ottawa Valley Book Festival. He was President of the League of Canadian Poets, 1992-94. He is working on a new manuscript of short stories (entitled Nomads), a series of poetry and on a work drawing upon his journal entries while living in Islamabad, Pakistan (August 2008-2010). He has just co-edited a collection of Pakistani poetry in English by 24 poets from Pakistan, the UK, US and Canada for Vallum Poetry Magazine, which will appear this coming December/January. As a roving oral poet he works on poems in his head and leaves them there. His first book of poems Alphabestiary, (exegesis by Bruce Meyer), has him present at IFOA 2011: The International Festival of Authors, Toronto. He has recited to audiences ranging from Officers of the Indian Navy to a lone Bosnian refugee in Vienna; in venues such as Stanley Kubrick’s secluded estate in Hertfordshire; Kingdom Café in red-light area of Amsterdam; Hall of Philosophy, Chautauqua, NY; Poetry Place, London UK; a 400 yr old Sufi Lodge, Istanbul; Roman Abbey, St. Albans; British Councils, Alliances Française and universities of North America, Europe and India. 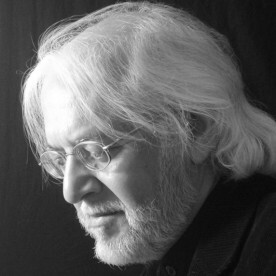 H is poems have featured in international anthologies (Penguin India; Bloodaxe UK; Fulcrum USA; Wespennest Austria); as well as Canadian (The Stephen Harper Holiday Anthology for a Prorogued Parliament; Atlas: The Canadians); his calligraphy is archived in the Special Collection of Carleton University where he is Adjunct Research Professor of Architecture and recipient of the Capital Educator Award 2011. He lives with his family in Ottawa, and spends each monsoon as an architect in India.